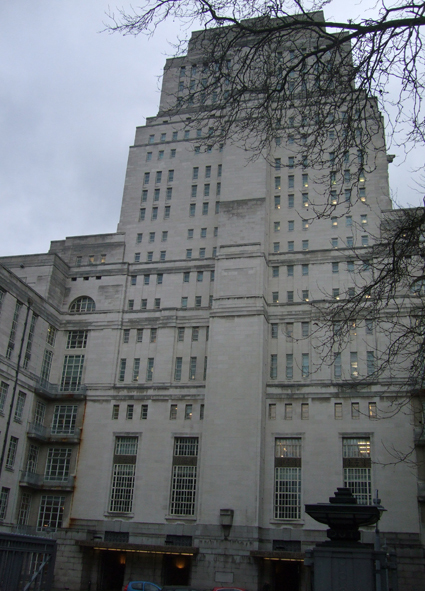 A new talk by Professor Ronald Hutton about the history of witchcraft is not to be missed, especially when it takes place in my home city of London, in the sumptuous Senate Room at Senate House. Last Wednesday I went to a lecture by him entitled The Wild Hunt and the Witches, organised by the Folklore Society in the iconic Art Deco building that is part of the University of London. As most pagans in the UK are aware, Professor Hutton is a leading expert in the history of witchcraft and his talks - and books - are always fascinating. He is also famous for deconstructing the misconceptions that have grown up around pagan subjects. This time, he picked apart the legends of the Wild Hunt and the suggestion that the hunt is a remnant of ancient European shamanism and also might portray witches riding to Sabbats led by a Goddess. In the talk, Professor Hutton argued that our modern picture of wild hunt was actually a conflation of several different folktales by Jacob Grimm for his treatise Deutsche Mythologie (Teutonic Mythology), published in Germany in the 1830s. With his brother, Jacob Grimm attempted to piece together German folk beliefs by collecting tales from various sources and places and removing any discrepancies. The Brothers Grimm held the idea that these tales descended from the ancient world. This was based on the idea - popular in the 19th century, but now been discredited - that history could be reconstructed by combining folklore and folk tales from various sources and regions. With regards to the Wild Hunt, tales that were combined included legends of spectral huntsmen, the idea of ghostly armies led by a God, the Devil looking for sinners, and sinners forced to wander after their deaths. Herne the Hunter was tagged on as a leader of the Wild Hunt too. Grimm used him because of his name, but he was probably invented by Shakespeare and doesn’t lead spirits. 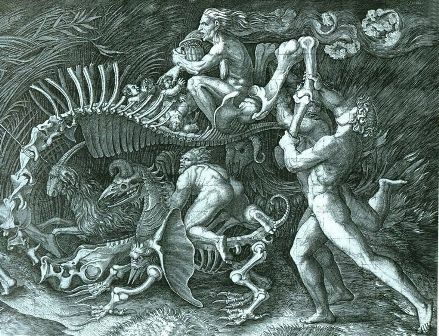 An important idea about the Wild Hunt discussed by modern historians including Michael Bailey and Carlo Ginzburg is that in German and Celtic legends the Wild Hunt was often led by a divine female figure, which could be Berta or Diana among other names. There is also the idea that these female deities led groups of women, instead of the dead, and took them to the witches’ Sabbat. Professor Hutton argued that this tale of women being led by a strong female figure was actually an independent regional development in parts of medieval Europe that included the Italian Alps; it was not a hangover from ancient paganism. It centred around the idea of The Lady or The Good Lady visiting the houses of ordinary women, partaking in feasts and teaching her followers spells. This was called The Good Game and was something new - a popular counterculture movement, probably involving some wish-fulfilment on the part of the women who said they took part in it. Professor Hutton said that being a medieval invention that was particular to a specific region made this folk belief even more interesting than if it had been just a hangover from ancient paganism. It was something truly original and probably empowering for the women who claimed to be part of the Good Game. Professor Ronald Hutton's new book The Witch: A History of Fear, from Ancient Times to the Present is due to be released in August this year. It is about the European witch hunts and will be published by Yale University Press.